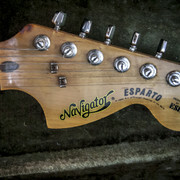 Great Navigator strat from 70s (75-80). Body is ash, 2 pieces. 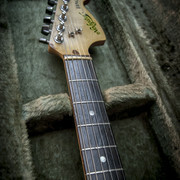 Hard rock 1 piece maple neck. Very nice indian rosewood fretboard. 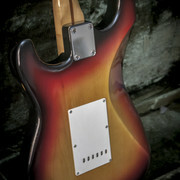 Pickups are quite similar to 70’s Fender strats, sound is 100% strat sounding, very sparkle and articulate. Finish they called it “varnish” on their catalogues, it looks like nitro, you can see the straight tight wood through it. Frets are around 60-70%, plays great with low action. Where are you located please? 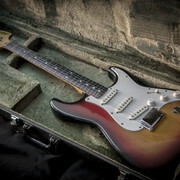 Cool guitar..